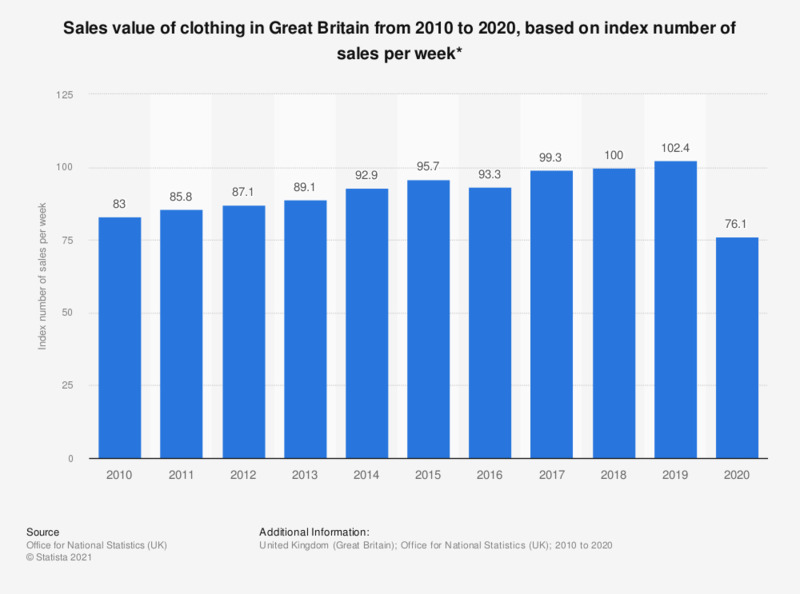 This statistic shows the amount spent on clothing (sales value) annually in Great Britain from 2008 to 2017, as an index of sales per week. In 2017, the retail sales value index for clothing was measured at 103.2. * Value of sales at current prices, seasonally adjusted. Figures are for goods purchased in predominantly non-food stores (i.e. textile, clothing and footwear stores). Index Level 2015 = 100.